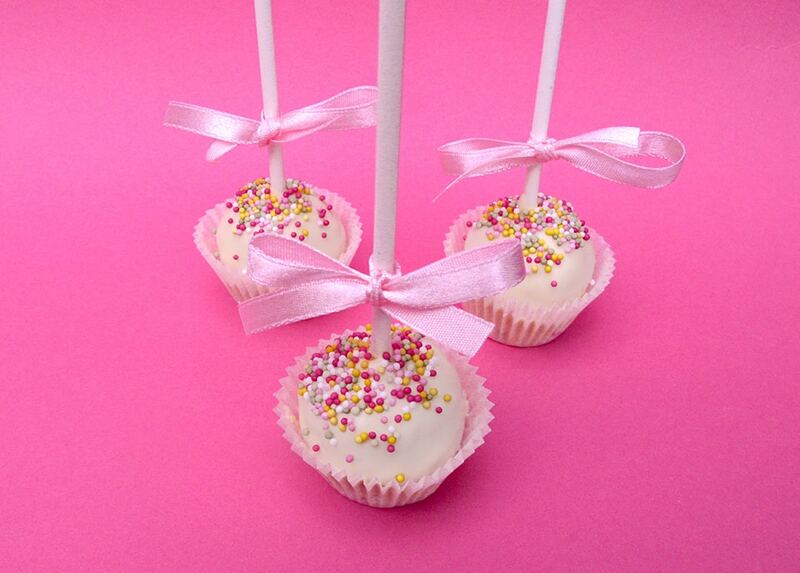 Beautiful pink themed Cake Pops with light pink ribbons. Fine vanilla moist sponge cake crumb particles are delightfully blended with white chocolate and formed into cake pops by hand. 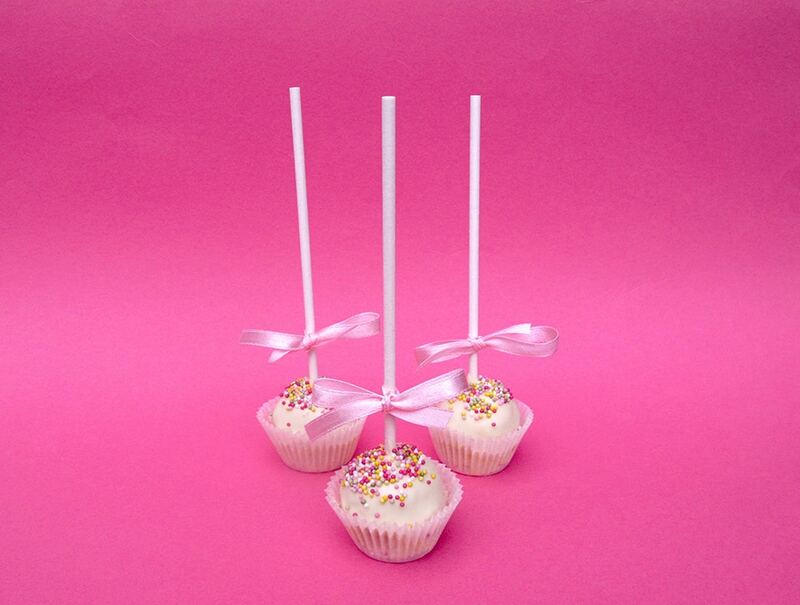 A fantastic gift for cake pops lovers. Store at room temperature for up to 5 days or in the fridge for up to 10 days. They tend to taste better at room temperature.